You can also use the combined menu button on the left side of the resources HUD. 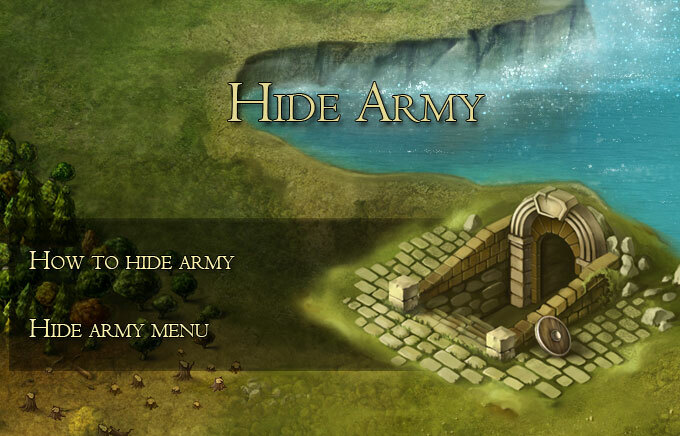 This is the quickest way to access send resouce, move, hide army and the military patrol menus. 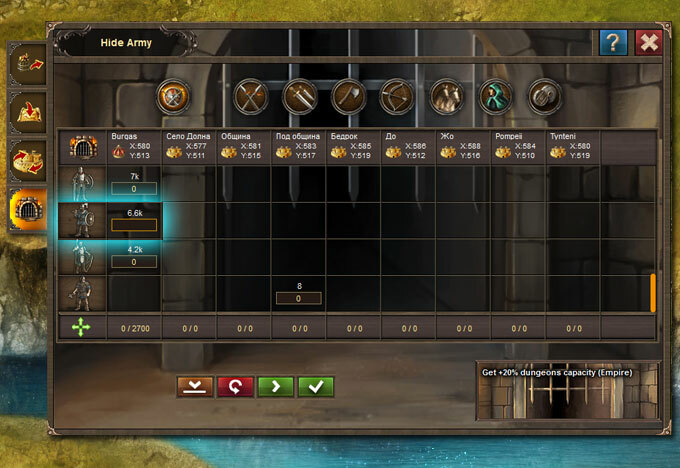 Select what type and number of troops you want to hide and they will be safe from any battle until you mobilize them again.